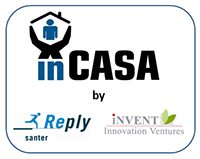 The inCASA project has now come to a successful ending. The results have been widely circulated and we are pleased, that every pilot achieved good results. Moreover, a very successful transfer of the prototype inCASA platform was performed in the Municipality of Skive. The platform was up and running in a matter of four weeks, and both patients and professional carers were very pleased with the outcome. The inCASA consortium thanks all those that have contributed to the successful outcome. We also wish to thank the European Commission for support and inspiration during the project. This website will be made public until the end of 2015. Please do not hesitate to contact us if you have any questions. inCASA has been selected as one of the 25 most promising projects in terms of impact and with regards to the European Commission’s Triple Win Strategy (improved quality of life, increased efficiency of health and long-term care, market growth and expansion of the EU industry). inCASA is quoted as "having created and demonstrated technologies and a services network that help protect frail elderly people and prolong the time they can live well in their own homes." The new European Commission study analyses the impact on society of EU-funded Research and Innovation in technology for active and healthy ageing. The study investigates which of projects have had the most influence in Europe over the last 11 years. Click here for more information and to download the report. The Greek national exploitation event, entitled “e-Health Services: The inCASA project” was co-organized by the National Technical University of Athens (NTUA) and the Konstantopouleio General Hospital of Nea Ionia (KGHNI) at the KGHNI premises on the 8th of February, 2013 under the auspices of the Greek Ministry of Health and the 1st Regional Health Authority of Attiki. 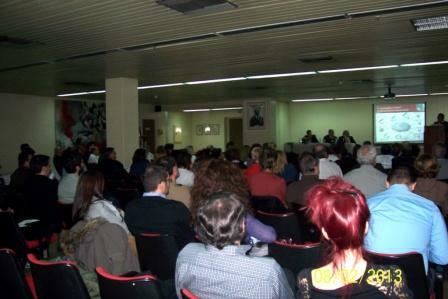 Participators included Municipal (local) authorities, Health Care Authorities, SMEs providing services in the Health sector, Professors, Doctors, ICT researchers, Social workers, Psychologists and the project coordinator Massimo Caprino. A total number of 163 persons were registered to the event which finally had a great impact on the audience, on the hospital, on the local society and on the involved authorities. The inCASA solution integrating telecare and telehealth services will be installed and tested in the Danish municipality, Skive. The test will run for four months from mid-February until mid-June and will involve a total of 20 elderly patients suffering from either COPD or Diabetes. In addition to these new devices and services, weight and oxygen saturation (SpO2) will also be measured and finally a video conferencing system between users and a Contact Centre will be set up. A flyer in Danish is available here. The VALUE AGEING project (Incorporating European Fundamental Values into ICT for Ageing: A vital political, ethical, technological, and industrial challenge) is currently closing its fact-finding period, investigating various aspects of ICT for ageing . VALUE AGEING pursuits the purpose of educating a new generation of researchers in the field of ICT for ageing, by considering ethical aspects, human right, societal needs within emerging ICT solutions for ageing, close to the inCASA purpose. inCASA publication at the French newspaper "Le Figaro"
Read more at the Downloads section. Massimo Caprino, the project coordinator, presented inCASA in the framework of SMART City Exhibition, held at Fiera di Bologna, Italy on 30 October 2012. The SMART City exhibition proposes a new vision of city characterised by: information flows, physical and digital relationships and communications networks, capability to create social capital, wellness for people and a better quality of life. A paper describing the inCASA project in terms of objectives, architecture (functional, physical and software), interoperability between its main blocks and results achieved has been submitted and accepted for presentation in the TeleMediCare 2012 conference. The paper, written by Santer Reply partner, is entitled "inCASA project - Smart telemonitoring" and was presented in the Desio Hospital, where the conference was organised. 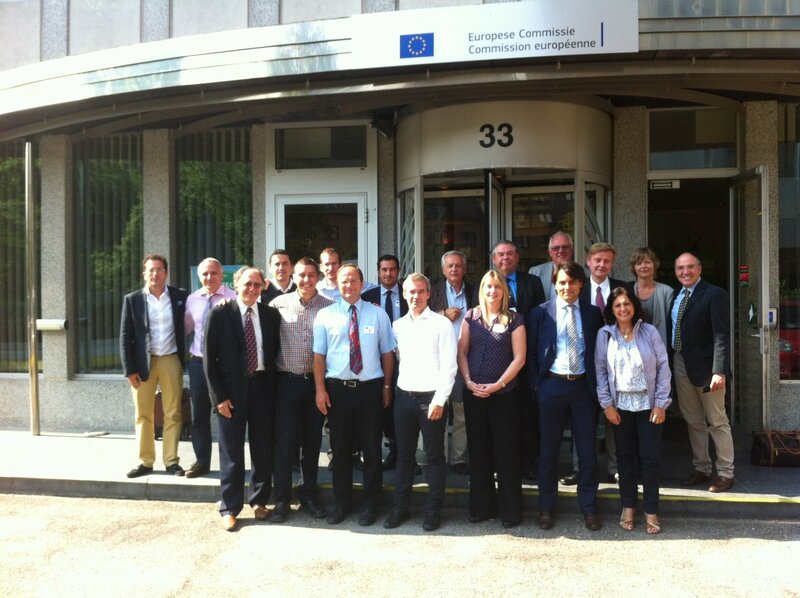 INVENT attended a workshop organized by the NET-EUCEN network, which is an EC co-funded project under the CIP framework. The workshop is part of the NET-EUCEN Validation Campaign meant to complete and assess the results achieved in the project, and in particular the good quality of the developed user-centricity indicators. The present workshop has focused on the eHealth sector and it has been an opportunity to disseminate the inCASA project results (with a particular focus on the user involvement during the project development and user-centricity of the deployed services) and share opinions and experiences with other EC co-funded projects, such as: Home Sweet Home (ICT-PSP project), AgeingWell (ICT-PSP project), Care at Home (AAL project), ValueAgeing (Marie Curie action), CUPID (FP7 ICT project) and Stroke Back (FP7 ICT project).